Lucas Sullivant acquires 6,000 acres of land and creates Franklinton. 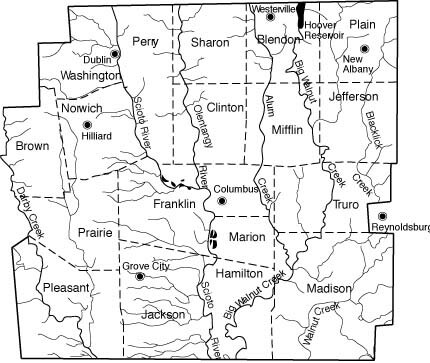 On March 30, 1803, the Ohio government authorized the creation of Franklin County. The county originally was part of Ross County. Residents named the county in honor of Benjamin Franklin. The City of Columbus was officially founded in 1812, and became the capital four years later. A canal system and the national road came to Columbus, bringing with it waves of people to the area. The National road reaches Columbus for the first time in 1831, connecting Ohio’s capital to Baltimore. African Americans in Ohio were free under the Northwest Ordinance. The limitations for African Americans were heavy and “freedom” was a relative term. 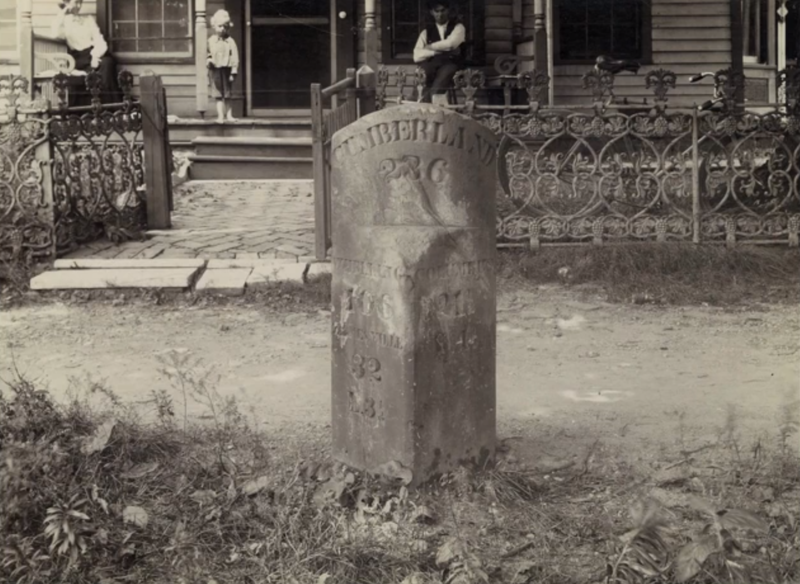 Watch below to learn more about the Underground Railroad in Columbus. The city needed a new Statehouse, but there was already an existing one. 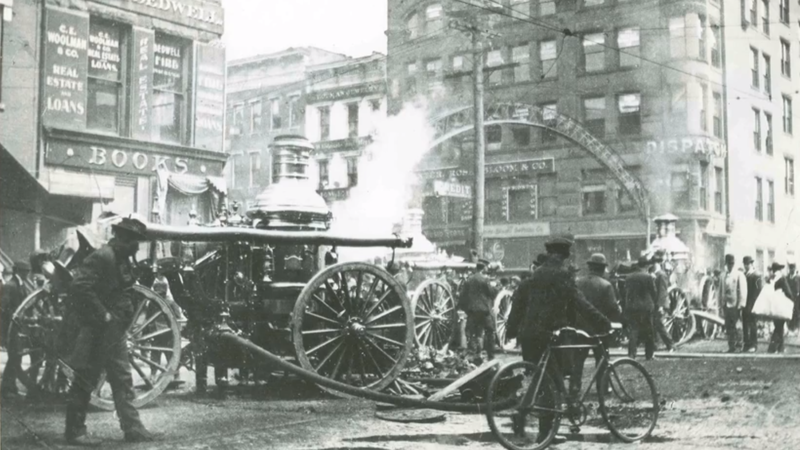 The Statehouse then caught on fire, but the records are unclear as to who set the fire. It was ruled an arson, and construction on the new Statehouse began. After a new Statehouse was needed after the fire that burned down the last one, city planners turned to the corner of Broad and High Streets and constructed the new Statehouse we see today. It was completed in 1861. 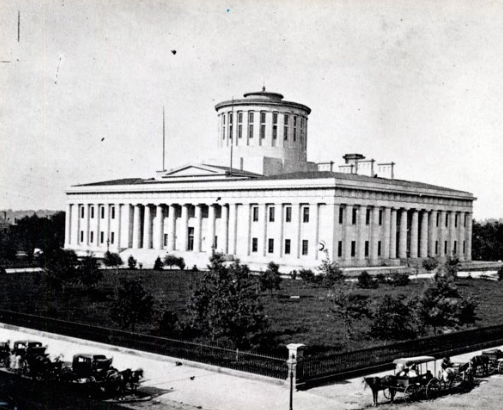 The Growth of Business, the new middle class and the guilded age corruption in Columbus and Franklinton all contributed to the growth of Ohio’s capital. In 1913, the worst flood in the history of Ohio ravaged Franklinton. More than 17 feet of water rolled down the Scioto River. Nearly 100 people died, and 4,000 homes were destroyed.